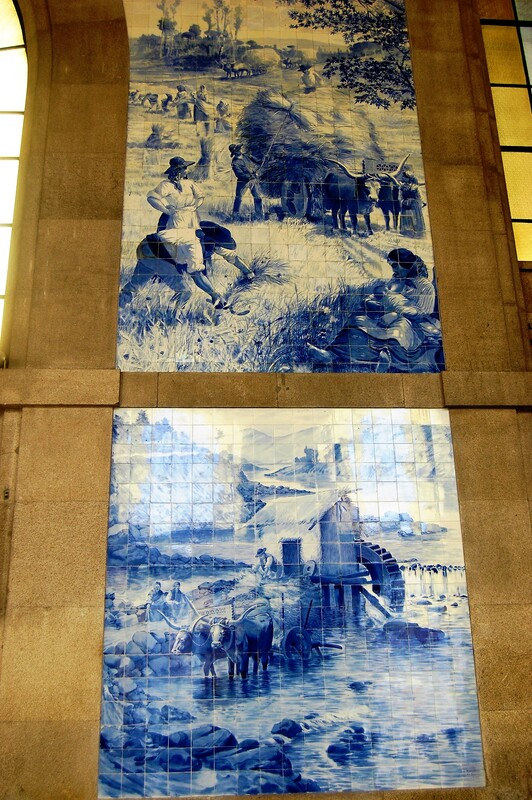 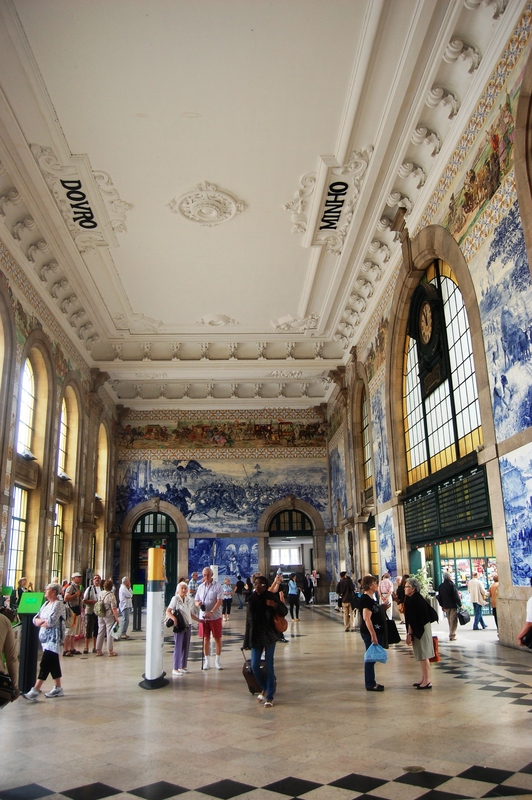 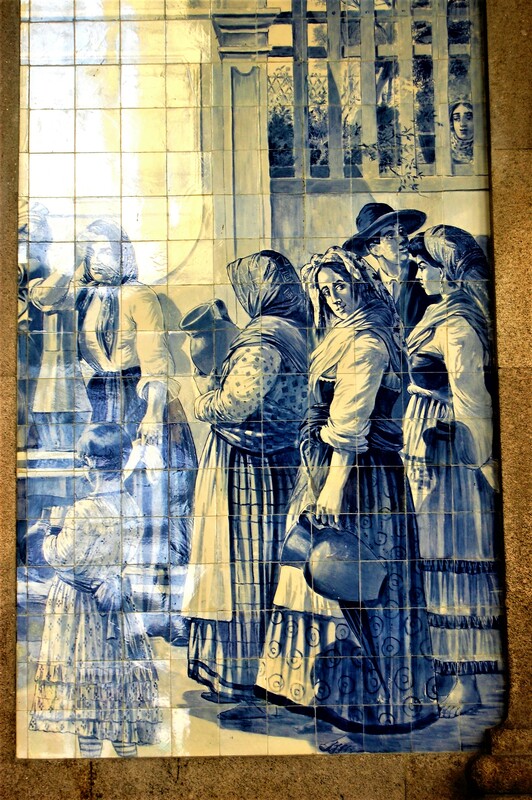 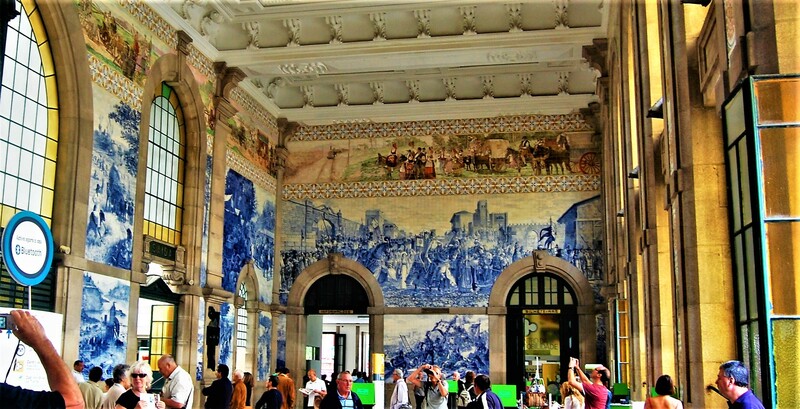 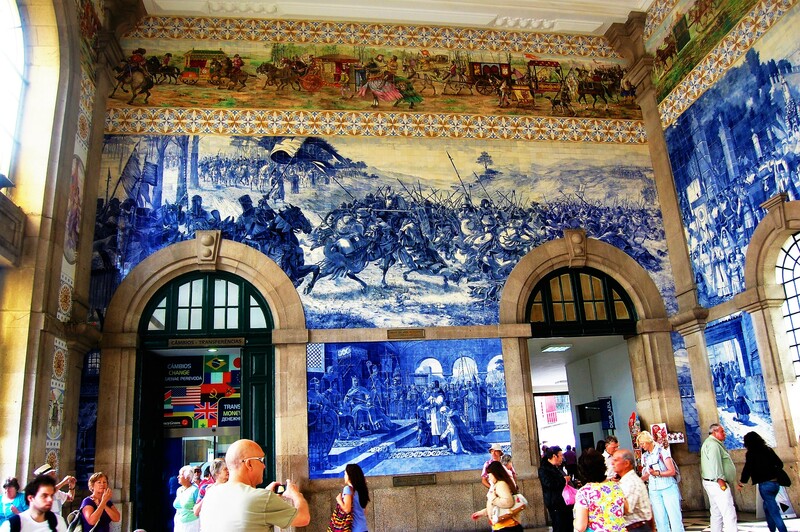 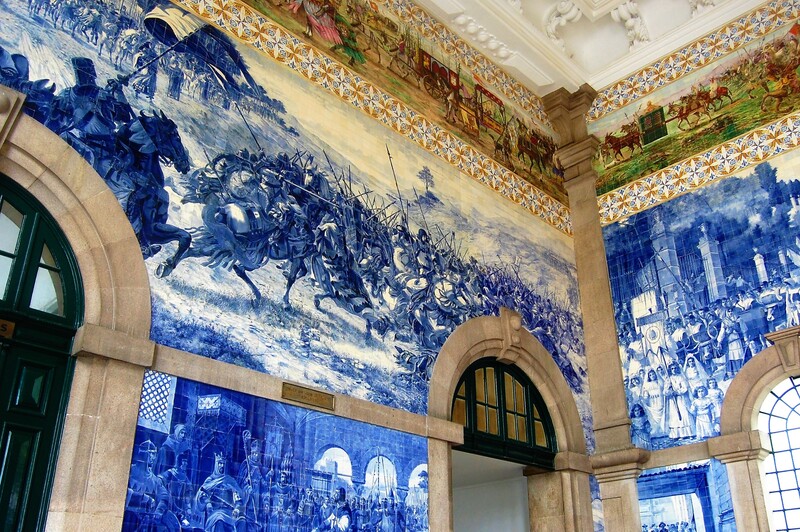 Fabulous ceramic tilework in Porto Railway Station. 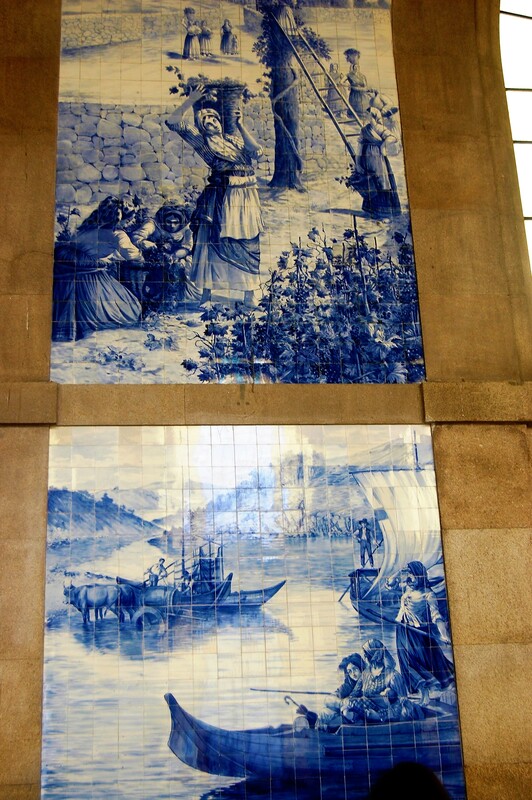 Portugal is famous for its beautiful blue tiles. 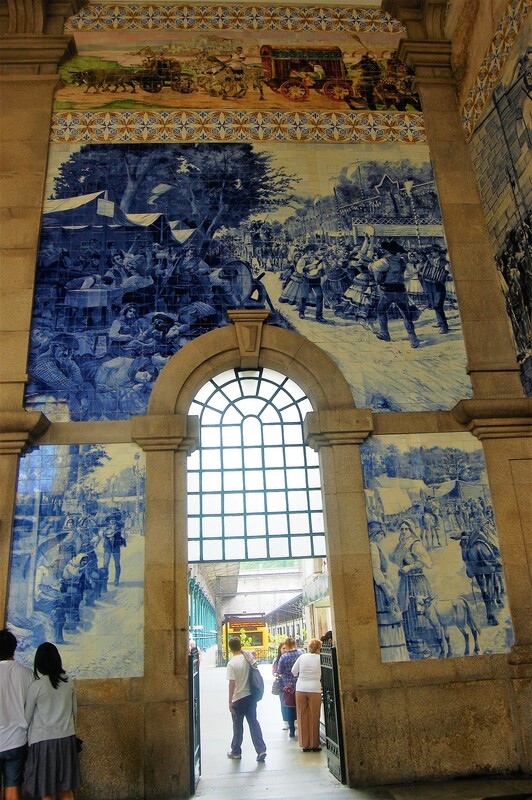 The artwork is so well done it was great to see. 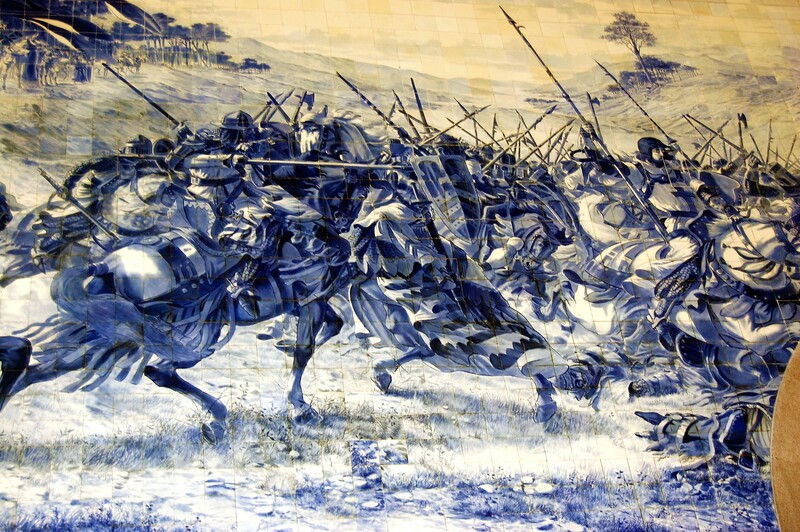 Typical scenes of battles, kings and church. 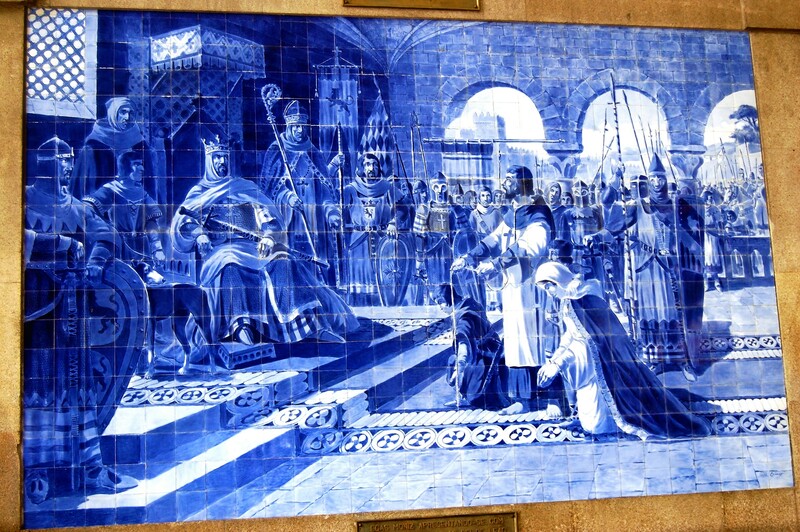 All the trappings of power.